It's December 29th and Santa has come and gone. But if you are like my family, the events continue. 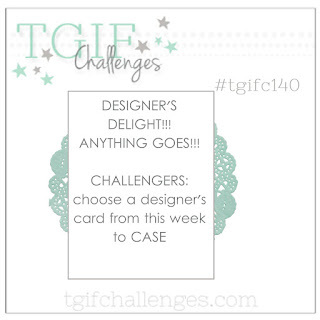 This little tag is made out of the Stampin' Up! Smitten stamp set and coordinating framelit better.You can use this all winter long and not just for the holidays. How cute is that little simple die cut? 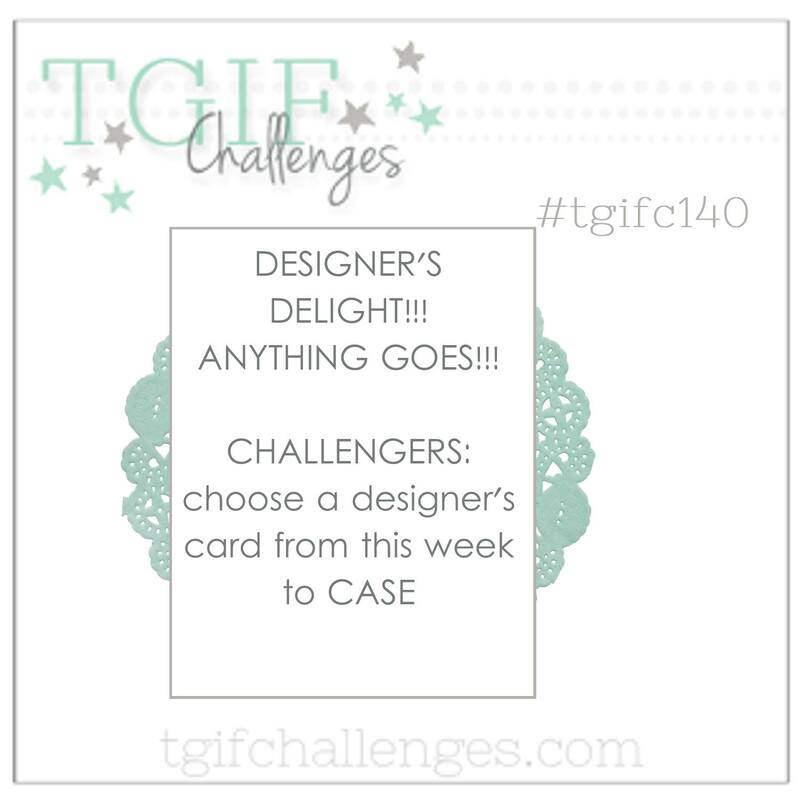 Today's project is created for the TGIF Challenge Blog Design Team and this week's challenge is to CASE (Copy and Share Everything) a design from the team. Well, I encourage you to die cut several of these mittens to have on hand for winter birthdays. In the mean time, I must carry on and have some more holiday fun!